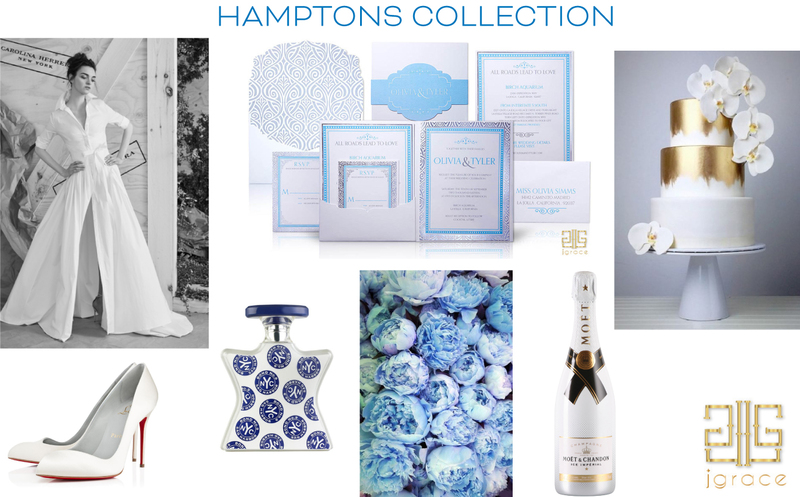 You’re invited to a WHITE WEDDING PARTY with the HAMPTONS COLLECTION! 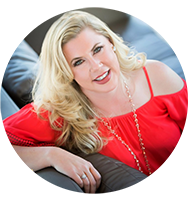 While many traditionally believe that it’s inappropriate to wear white to a wedding, that rule gets crossed off the list when the event is an actual WHITE PARTY! 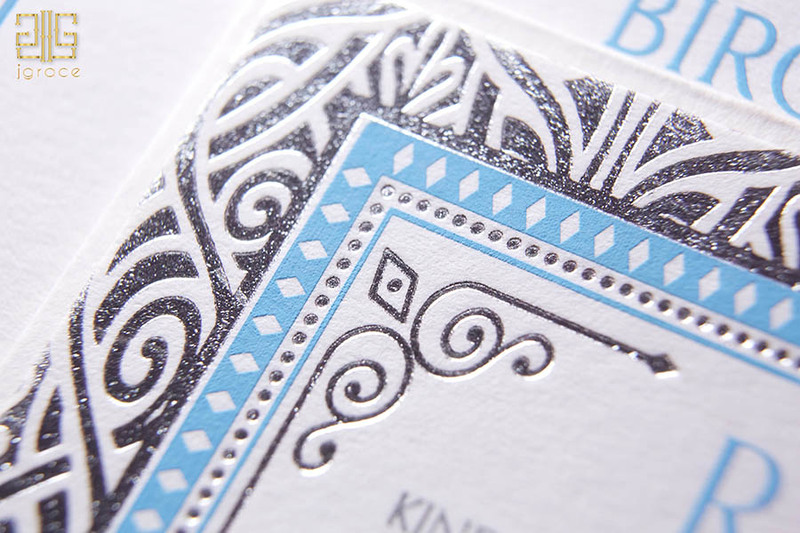 This stylish theme, made popular by rapper Sean “Diddy” Combs, is notorious for originating in the Hamptons with guests dressed in all-white attire for a fabulous occasion. Our Hamptons wedding suite of stationery was very much inspired by these New England seaside soirees, as shown here in a crisp blue and white color palette with metallic foil accents. Carolina Herrera’s Spring 2017 Bridal Collection is inspired by the woman of today, exploring romance and femininity in new forms. Just look at this three-quarter-sleeve, pleated, cotton gown. Can you get anymore Hamptons than this? Totally reminiscent of the classic-white-collar-button-down-shirt turned ballgown skirt has a slit that can go as high as you like. For a haute day in the Hamptons, this is a style MUST! There’s a little “something blue” inside this shoe, but the red-soled bottoms is what makes brides swoon! 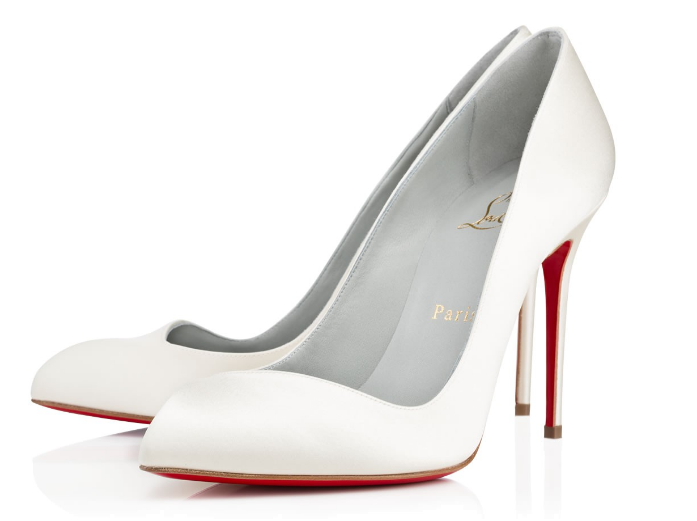 The “Corneille” by Christian Louboutin has a reputation for being the perfect pump to walk you down the aisle. With a classic satin finish, sculpted toe and those red-haute soles, there’s no doubt these Loubies will be well-loved. Being that this is my all-time favorite perfume, I can’t imagine a white party without the scent of Bond No. 9 Sag Harbor. 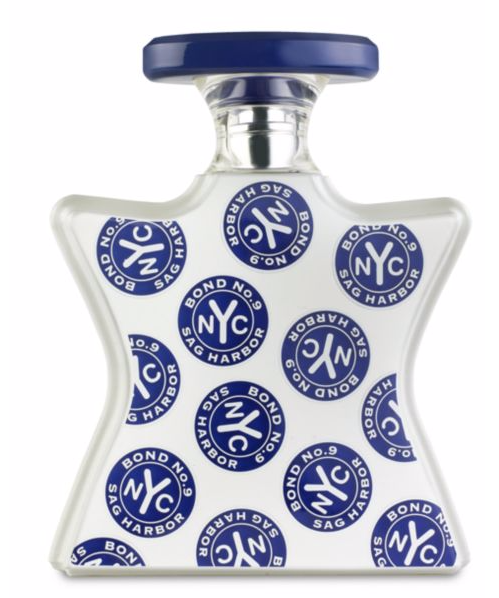 While this luxurious fragrance collection “makes scents of New York” with a perfume for every neighborhood, there is an actual Hamptons bottle one can choose. But the mix of Bergamot, ivy leaves, Sag Harbor bay accord, peonies, magnolia, oud, amber, and sandalwood has me hooked! And just in case you didn’t know, Sag Harbor happens to be an incorporated village in the towns of East Hampton and Southampton, so naturally it all works. 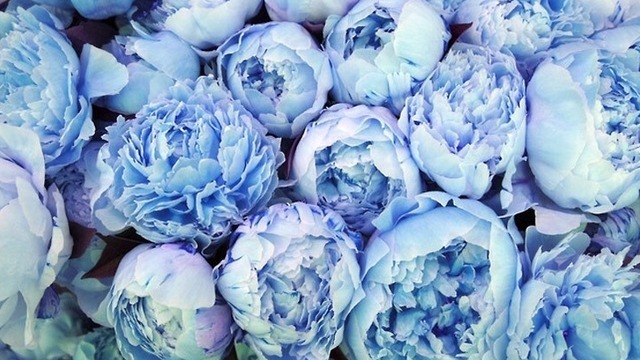 Have you ever seen “something blue” peonies? Probably not. They actually don’t exist. These gorgeously-colored blooms are dyed professionally in order to achieve this unique color. With a white party wedding, you have so many choices in flower arrangements with the most obvious being “white” in variety, like peonies, phalaenopsis orchids, roses, ranunculus, etc. 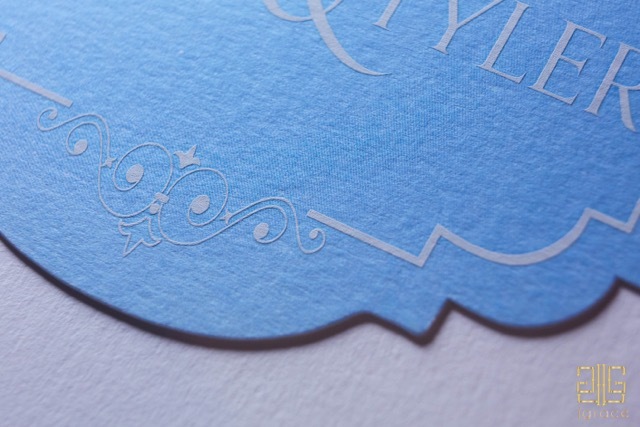 However if you want to add that “something new” ask your floral designer to customize with a pop of color. Champagne over ice? Yes, please! 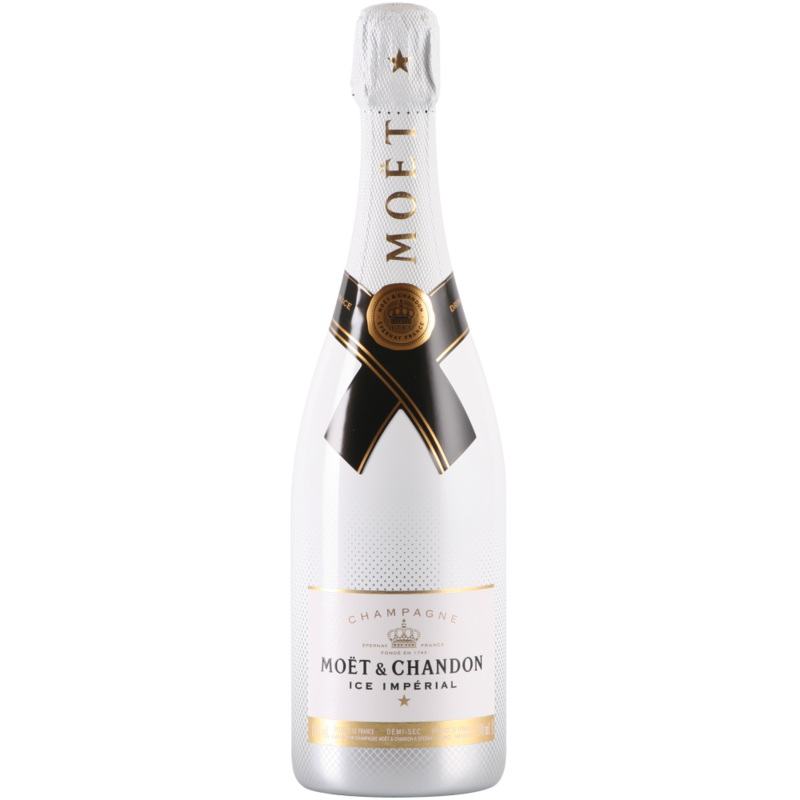 In the heat of the Hamptons and hitting the dance floor all night, Moët Ice Impérial is the first and only champagne especially created to be enjoyed over ice. This “intense, fruity and fresh” libation is bottled in luxury with stunning packaging, that we must point out, will look gorgeous on display behind your cocktail bar. I will always be in love with the wedding cake! While I enjoy the stylized dessert station, donut bar or croquembouche, like any girl, the wedding cake is a tradition I will always believe in. This glamorous cake is by Teo Pau Lin, the lady behind Crummb in Singapore, who specializes in confections featuring meticulously detailed and hand-made sugar flowers with artful designs. 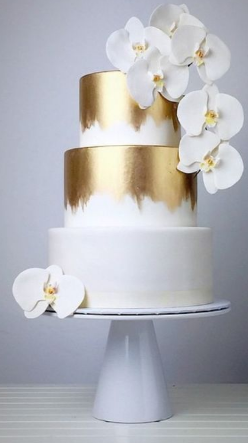 This cake would glow in gorgeousness at a Hamptons White Wedding Party! 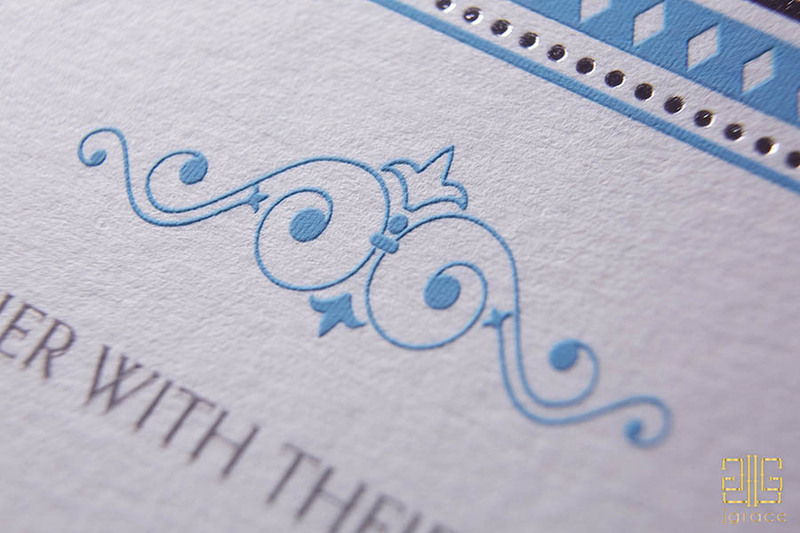 It’s true that we heart the HAMPTONS – the city, the style, and of course, our stationery! The cool sophistication of the New England coast lends so poetically to the Hamptons Collection. 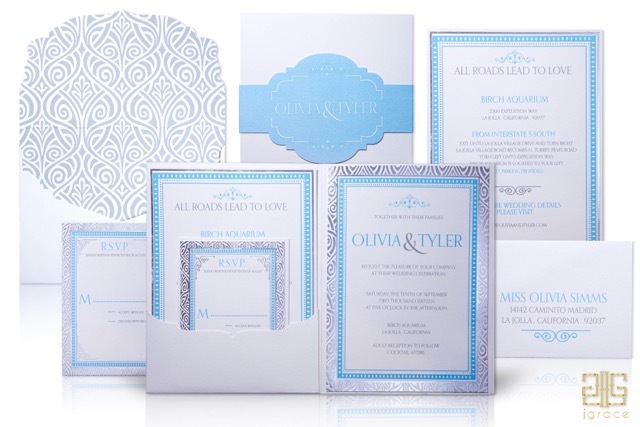 Shown in azure blue with a silver foil design, this pocket-fold set is bound by a graceful namesake sleeve. The interior envelope amplifies the invitation trim, while the preppy polka dot detailing makes this suite ready for… your WHITE PARTY!